A lovely town which offers great privacy and intimacy for weddings. Ravello an enchanted place, among the most beautiful in the whole of Italy, high above the Amalfi coast with a commanding and unique landscape. A Ravello wedding is your most special setting in a poetic town, which promises an exclusive setting for your wedding in Italy. This beautiful town is situated about 5 km from Amalfi, high up on the mountain, overlooking the coast from Maiori to Amalfi. Ravello is renowned for its peacefulness and its panoramic views of the Amalfi coast. It is famous for its stunning villas and beautiful gardens. Amalfi coast wedding villas are known for their exclusivity, perfectly kept and coloured gardens and their ocean views. These enchanted places are not to be missed for their splendour and their internal decoration. Villa Rufolo, built in the 12th century by the Rufolo family, is famous for its beautiful cascading gardens. The Villa Cimbrone needs no introduction and is a charming and elegant hotel filled with frescoes, antiques and art., one of the best loved locations for weddings on the Amalfi coast. 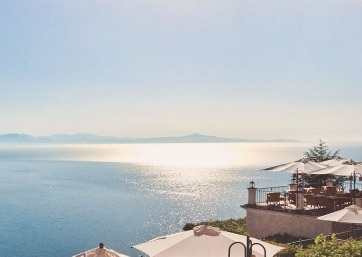 The gardens and panoramic views from its "Terrace of Infinity" have been described as the best ever witnessed as you can admire the vast sweep of the Amalfi coast below. 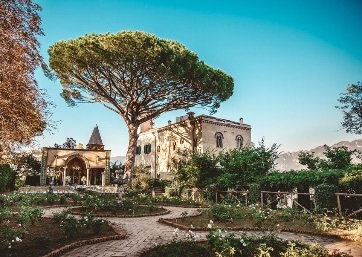 These villas and luxury hotels with impressive terrace spaces are popular choices for a weddings in Ravello, especially for the opportunity to witness these dramatic views in person; a perfect backdrop for your wedding photography on the Amalfi coast. 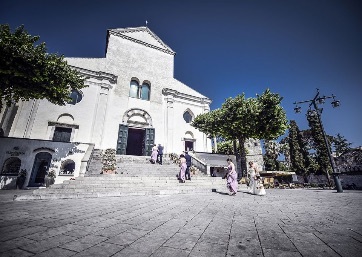 The Ravello town hall offers the possibility of an open-air ceremony, overlooking the coast, while the catholic churches in the town are stunning. The 11th century cathedral is perfect for a larger catholic ceremony while a smaller church nearby is wonderful for intimate weddings. 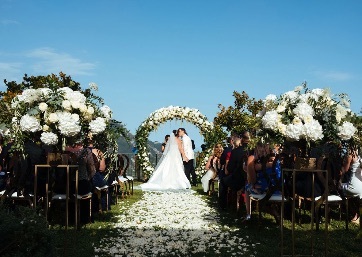 Get married in Ravello for a luxurious and impossibly romantic location for an Italian destination wedding you and your guests will never want to leave behind! 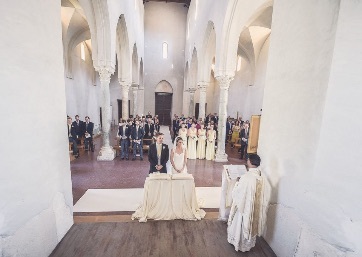 Civil weddings in Ravello are performed in an intimate and secluded 12th century palace. Any wedding set at this luxury Hotel with breathtaking views over the spectacular Amalfi Coast is guaranteed to be special. 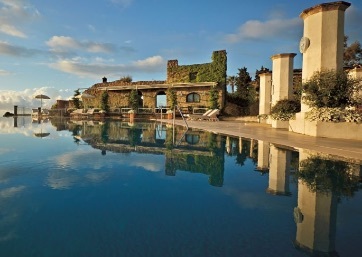 This exclusive and stunning hotel is located in the one of the most panoramic and breathtaking spots of Ravello.